The Euro Currency Index, or EURX as we like to call it, quantifies and displays strength and weakness of the single currency. 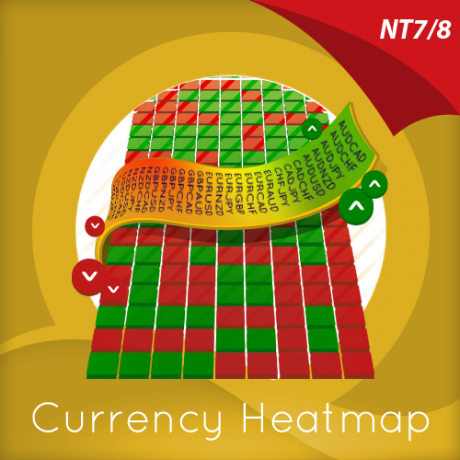 As the index rises it suggests strength in the single currency against a basket of currencies. 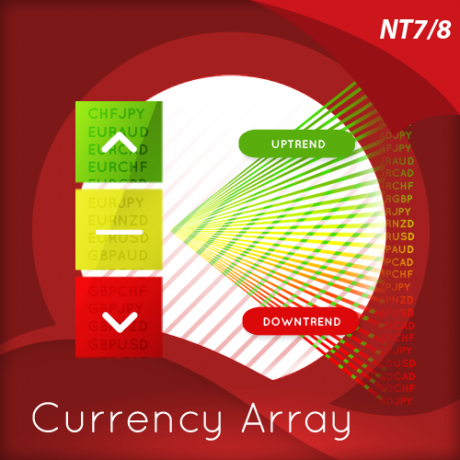 As the index falls this signals weakness in the euro.The Quantum EURX is calculated from a basket of four currencies with each currency having an equal weighting of 25%. 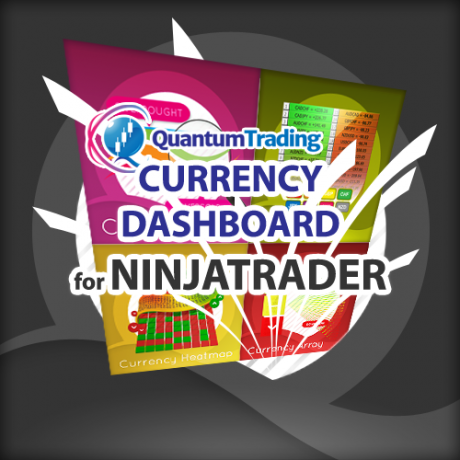 The indicator plots strength and weakness of the euro as a candlestick chart in a separate indicator window when you attach it to the chart. 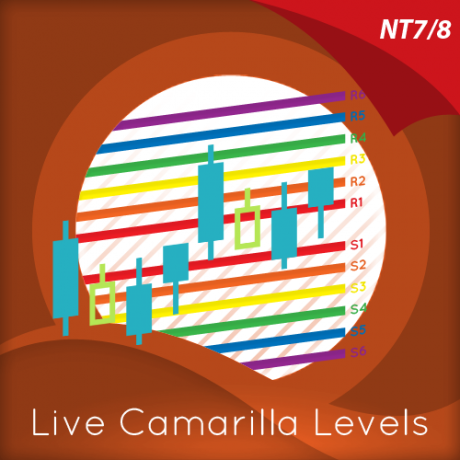 In addition, there are two configurable simple moving averages to make chart reading easier. Whether the single currency survives in the longer term, is one for debate. In the meantime, having a quick and easy way to view the euro and its performance against other currencies is key. 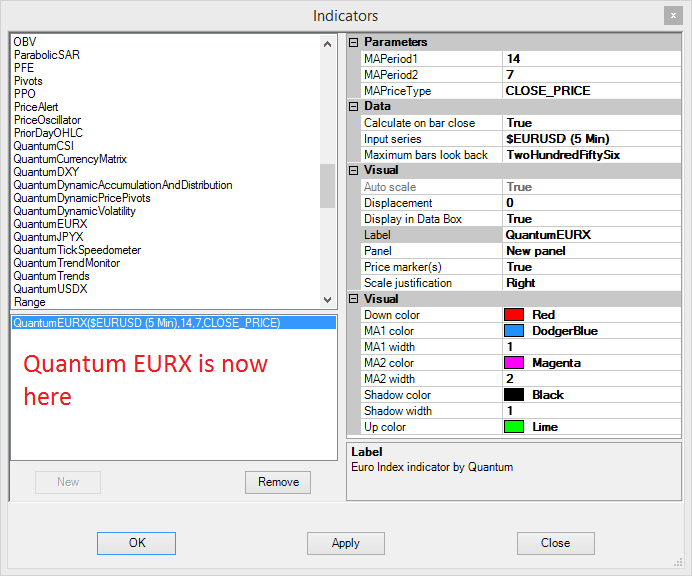 The Quantum EURX indicator does just that -removing the hard work and presenting a chart which is simple and easy to read, and which provides and instant view of the euro and whether it is rising or falling, second by second and minute by minute. 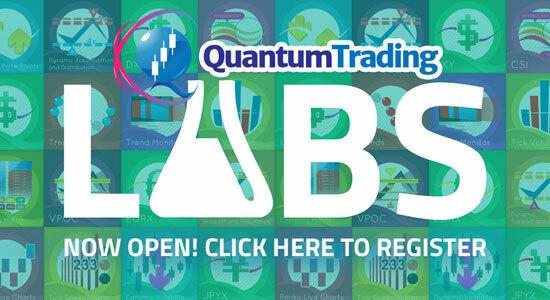 When used in tandem with the Quantum Currency Strength Indicator it is the closest you can come to having your own euro crystal ball! 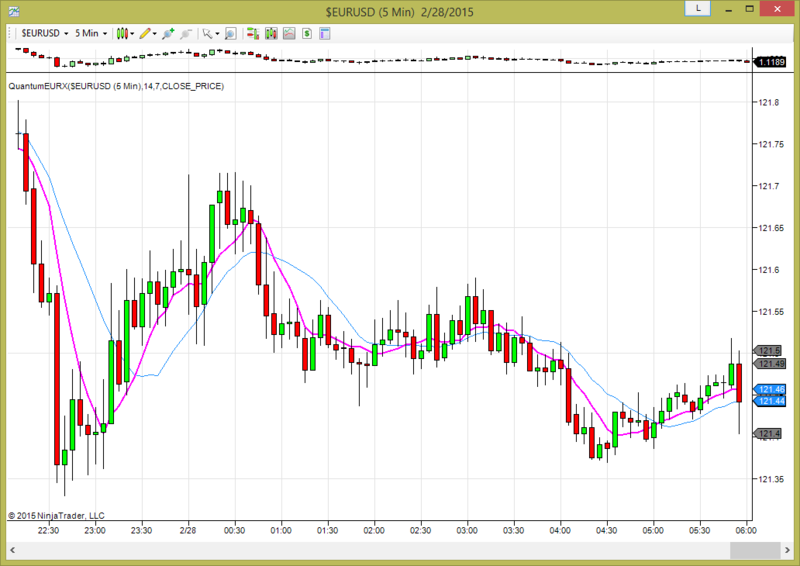 MAPeriod1 – This is the period of one of the 2 simple moving averages running across the EURX. It is set to 14 by default and colored blue. Though this is the slower moving average of the two, you are free to set this to any other timeframe to suit your personal preferences. 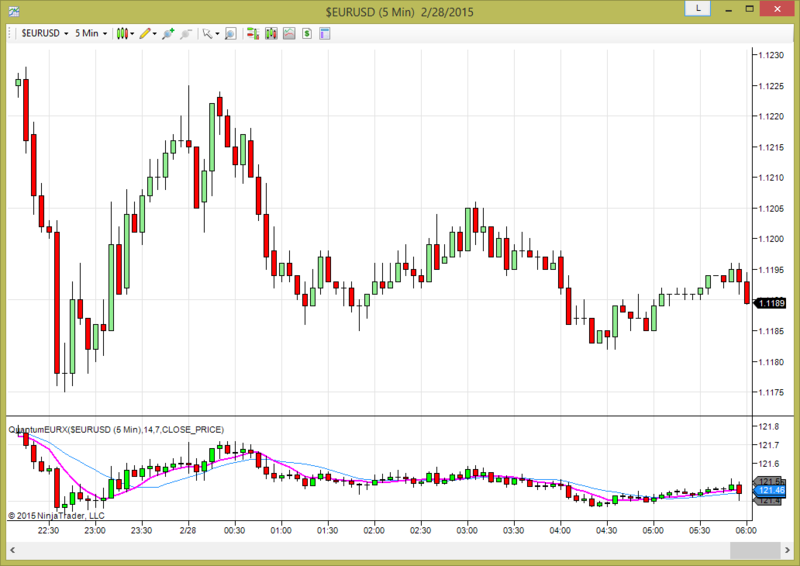 MAPeriod2 – This is the period of the second simple moving average for the EURX. It is set to 7 by default and the default color is magenta. Though this is the faster moving average, you are free to set this to any other timeframe of your choice. To change the setting, place your mouse on the MAPriceType label and left click. Notice that a drop down arrow will appear at the right hand side of the value field. Proceed to click it and a list will appear with the four price types. Click one to choose and set. 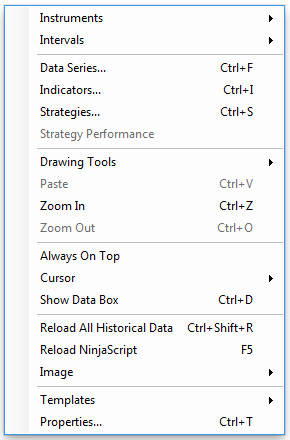 To change this setting place your mouse on the Label label, and left click. This will highlight Label in blue. Left click in the value field alongside and your cursor will appear. 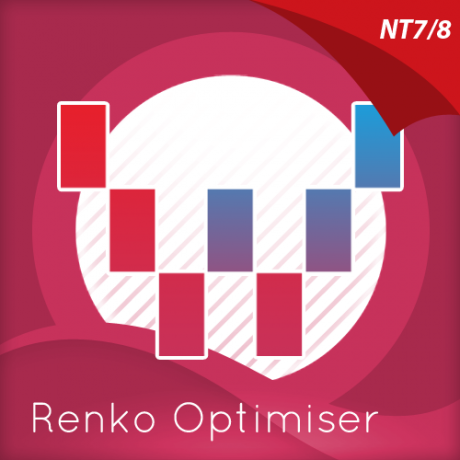 Delete the text using the back button and when you apply the indicator, the text will no longer be displayed. To change the color, place your mouse on the Down color label and left click. Notice that a drop down arrow will appear at the right hand side of the value field. Proceed to click it and a list of colors will appear under it. Click your desired color to choose and set. To change the color, place your mouse on the Up color label and left click. Notice that a drop down arrow will appear at the right hand side of the value field. Proceed to click it and a list of colors will appear under it. Click your desired color to choose and set. To change the color, place you mouse on the Shadow color label and left click. Notice that a drop down arrow will appear at the right hand side of the value field. Proceed to click it and a list of colors will appear under it. Click your desired color to choose and set. To change the color, place your mouse on the Shadow width label, and left click. This will highlight Shadow width in blue. Left click in the value field alongside and your cursor will appear. Delete the value using the back button, and enter a new value. MA1 color – This is the color of one of the two simple moving averages which is initially the slower MA. This is set to dodger blue by default. 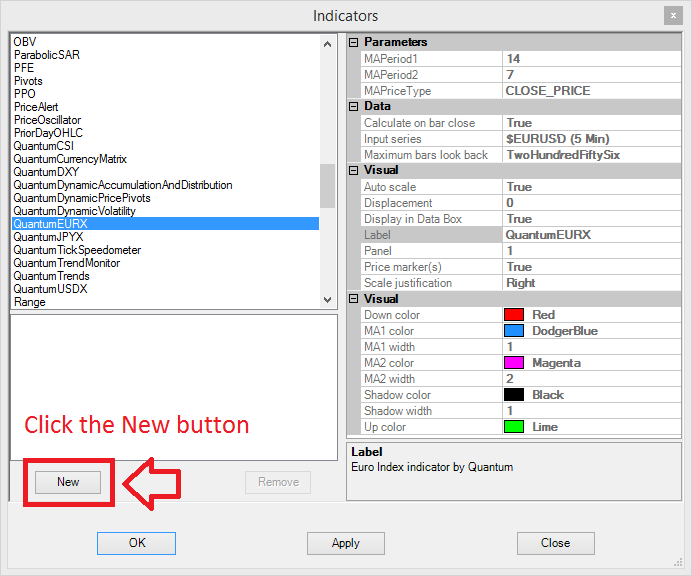 To change the color, place your mouse on the MA1 color label and left click. Notice that a drop down arrow will appear at the right hand side of the value field. Proceed to click it and a list of colors will appear under it. Click your desired color to choose and set. 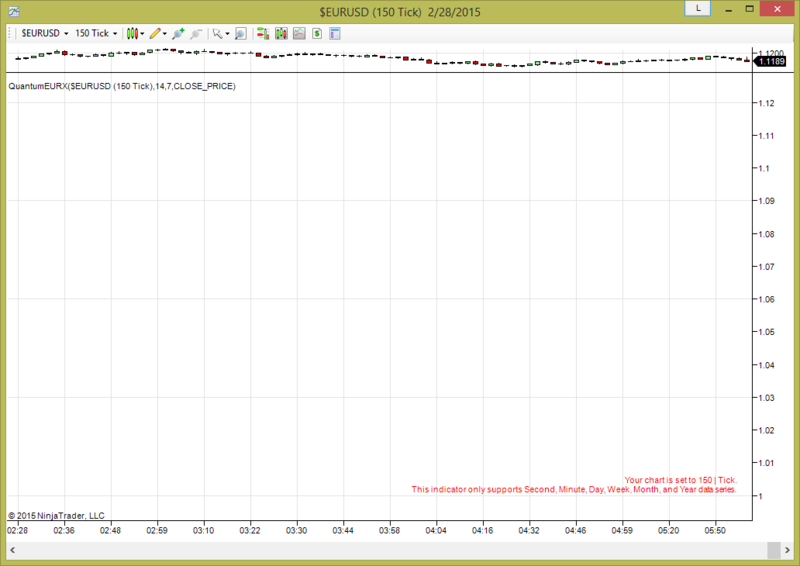 MA1 width – This is the thickness of line for the first simple moving average. This is set to 1 by default. To change the setting, place your mouse on the MA1 width label, and left click. This will highlight MA1 width in blue. Left click in the value field alongside and your cursor will appear. 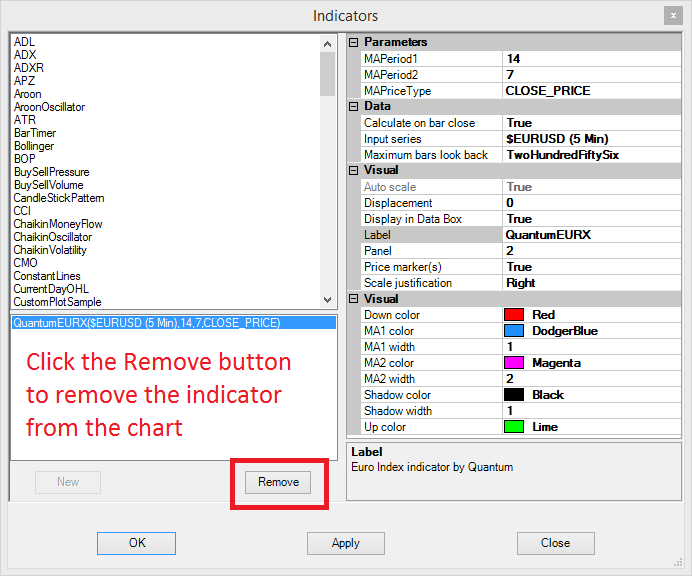 Delete the value using the back button, and enter a new value. MA2 color – This is the color of the second simple moving averages which is initially the faster MA. This is set to magenta by default. To change this color, place your mouse on the MA2 color label and left click. Notice that a drop down arrow will appear at the right hand side of the value field. Proceed to click it and a list of colors will appear under it. Click your desired color to choose and set. MA2 width – This is the thickness of the line for the second simple moving average. This is set to 2 by default. 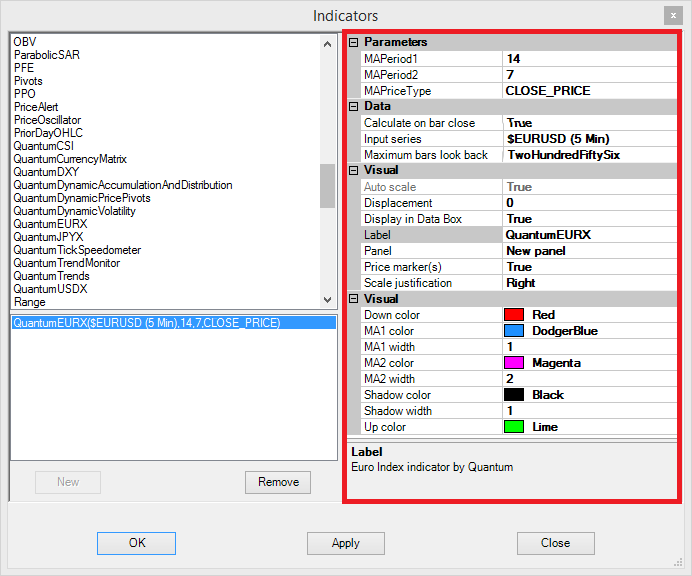 When you first apply the Quantum EURX indicator to the chart the indicator window may need resizing, and below is an example of how the indicator may look with no option changes applied and the default white background of a NinjaTrader chart.